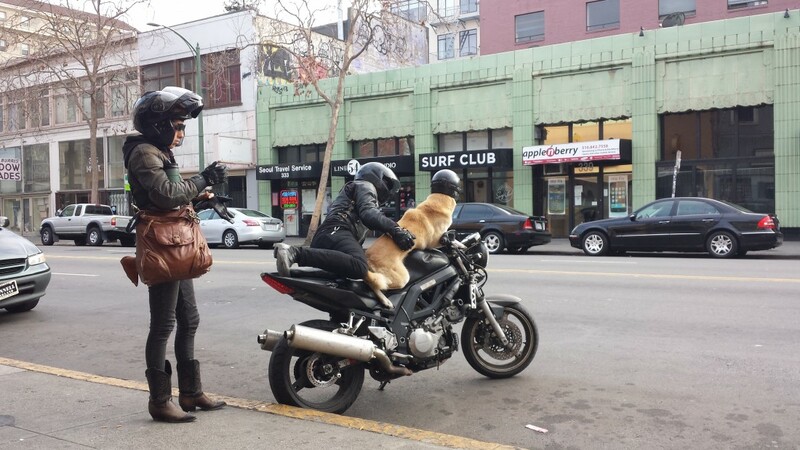 Biker Dog is Way Cool! The coolest easy rider biker dog rolled up with his humans in front of Brown Couch Cafe while I enjoyed a much needed break from work. Yes, he’s wearing a helmet as required by law. 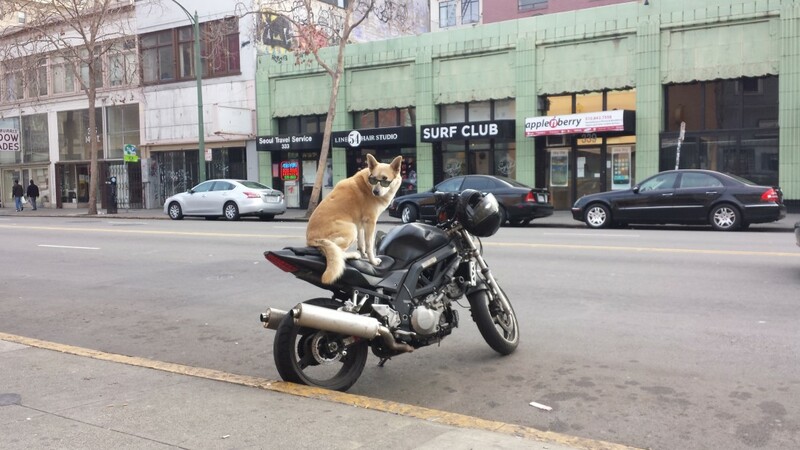 This entry was posted in Oakland Scenes and tagged dog, motorcycle, Oakland. Bookmark the permalink. ← Welcome to my first blog entry!